Here's what's happening on our Instagram page today. We went to Hudson for our latest "Unzipped" edition. Jasmine Monroe stopped by the Western Reserve School of Cooking and learned to make some delicious pumpkin spice waffles. See the rest of Hudson Unzipped here. Yum! @monroewkyc cooked up some pumpkin spice waffles at the Western Reserve School of Cooking in Hudson. Want to try it yourself? 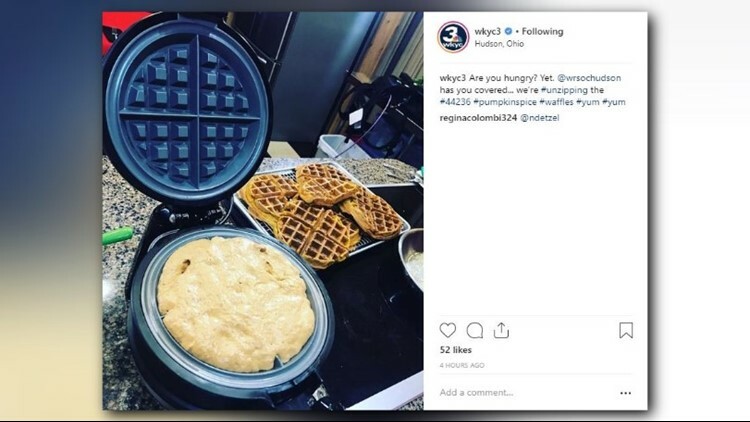 We have the recipe posted on WKYC.com. It's National Pasta Day and we want to know how you like yours served. Alfredo? Vodka sauce? A classic red? Let us know in our Instagram comments. Here's where you can get special deals and discounts today. Our next High School Football Game of the Week will be this Friday as the Kenston Bombers host the Chardon Hilltoppers, after the matchup one more than three-quarters of the vote in our weekly poll. Get more details on the showdown here. You voted, and we listened: WKYC.com will be headed to Chagrin Falls for our next High School Football Game of the Week as the Kenston Bombers host the Chardon Hilltoppers! !